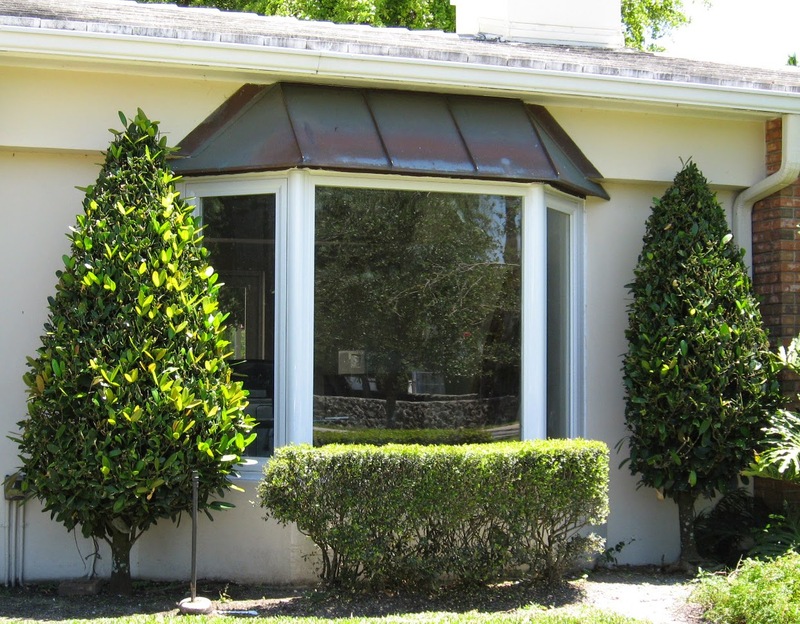 When retrofitting existing non-impact windows for new impact windows we find a number of structural conditions that do not meet the current Florida Building Code requirements. 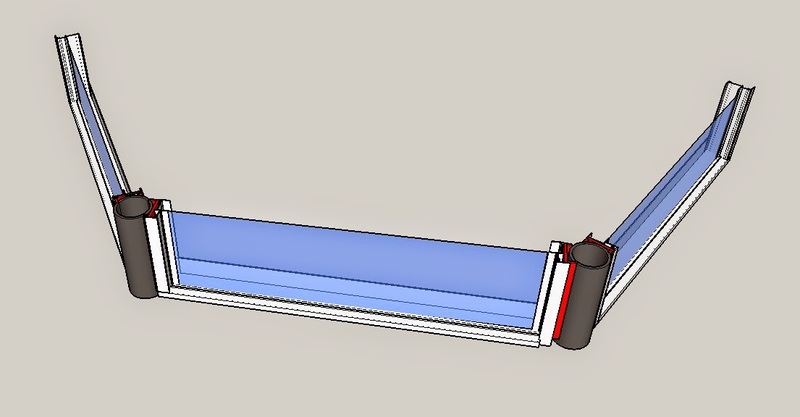 A bay window projects out of the outside of a building envelope as shown on the picture above. The most common type we find in Miami is called canted bay windows, which have a flat front and angled sides. Bay windows became very popular during the Victorian architectural era and still hold their appeal today. When performing remove-and-replace jobs of existing homes in Miami Beach, Miami Shores, Coral Gables, South Miami and other non-incorporated Miami areas built in the 40's, 50's and 60's, we come across these types of windows. First, because these windows are set outside of the building envelope, the window header is most probable a wood-framed build-out. This condition was designed and built prior to establishing the High Velocity Hurricane Zone requirements set in place today. 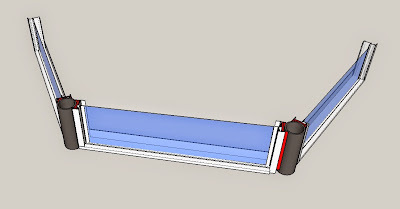 As a result, the window header might not be designed and anchored appropriately to windstand the lateral loads exerted by hurricane-driven forces. 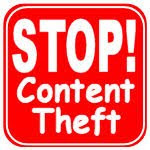 This condition presents a problem for us. Installing impact-resistant windows requires anchoring to either the main structure of the house or to members that are capable of transferring the loads to the main structure of the building. The second issue has to do with the connection between the window frame and the existing steel posts. 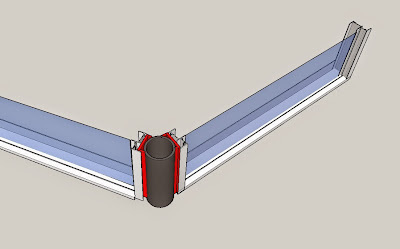 Existing bay windows have round metal posts (shown in gray in the illustration below) joining together the center window with the two flanking units. Impact windows' frames must be installed to flat substrates, which is not the case when anchoring to a round post. Hence, when encountered with these conditions, the window contractor needs to make modifications in order to comply with the product approval of the window being installed. At Astor Windows, we have encountered the the above described scenarios several times. For the missing header issue, we custom-fabricate a steel header (previously designed by a license structural engineer) anchored to the main structure. For the second issue of the round post and flat window frame connection, we have fabricated a continuous u-channel aluminum (or steel) wedge anchored or welded to the existing posts. This wedge solution has been designed by a license engineer and fabricated by Astor Windows's industrial welding technicians. Refer to 3D illustration below for details.